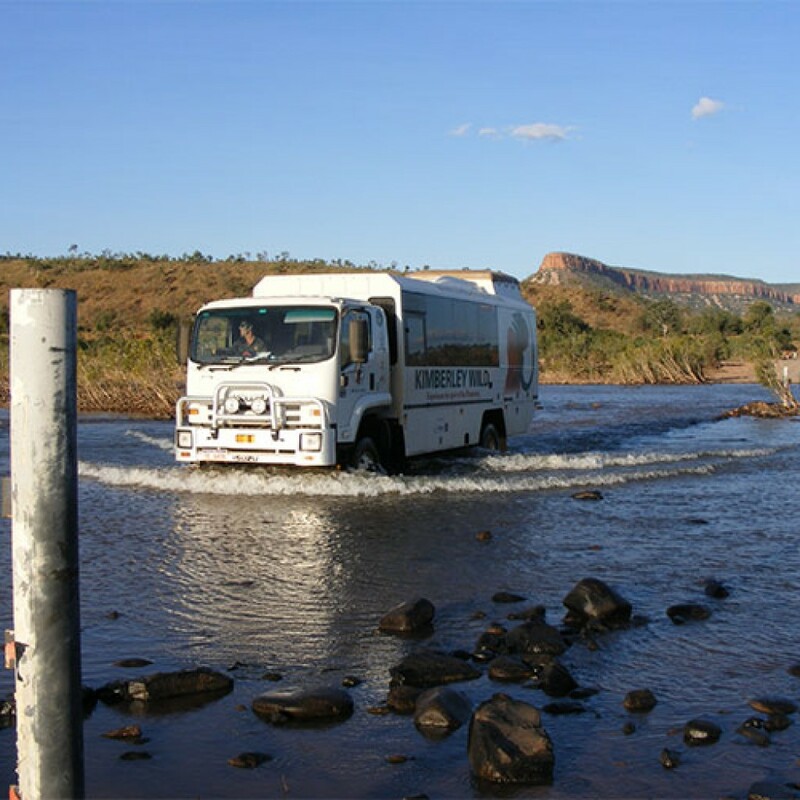 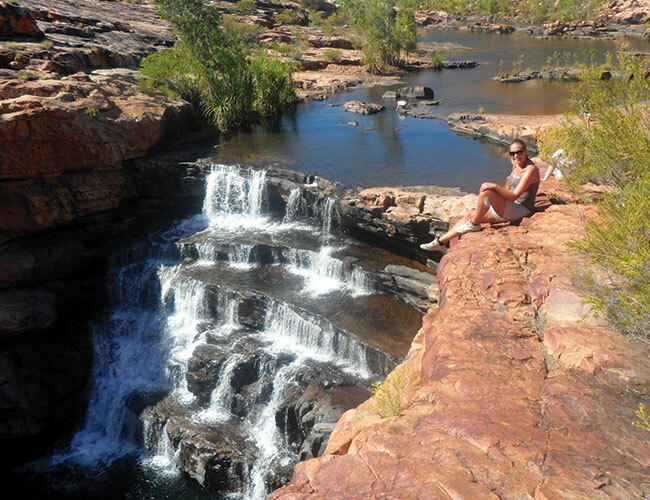 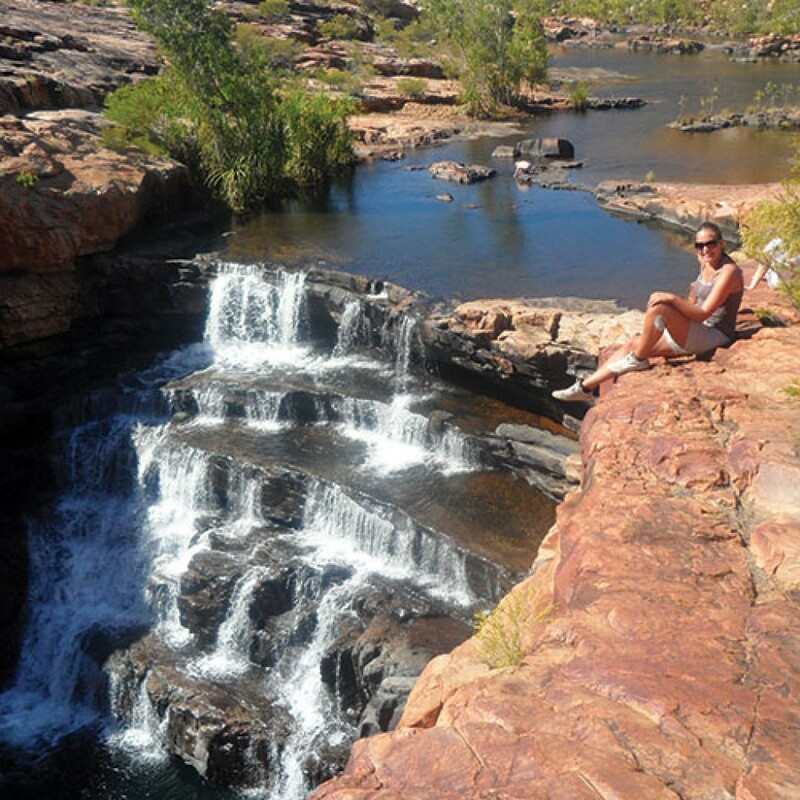 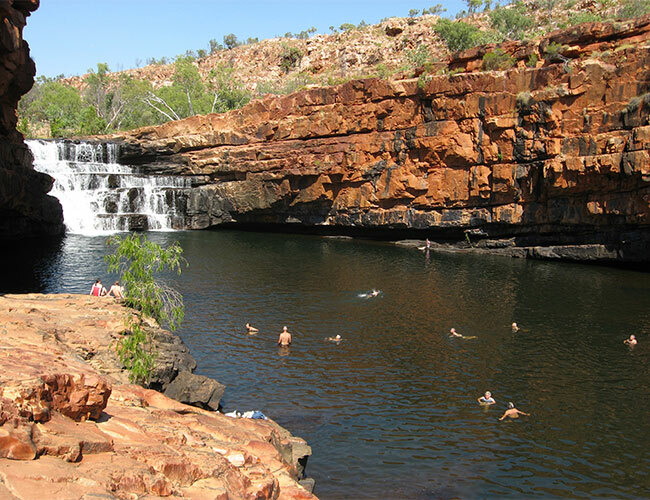 The best 4WD adventure tour in the Kimberley! 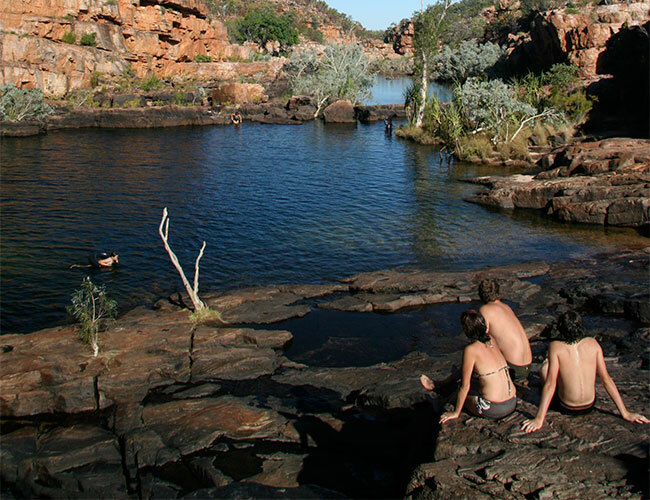 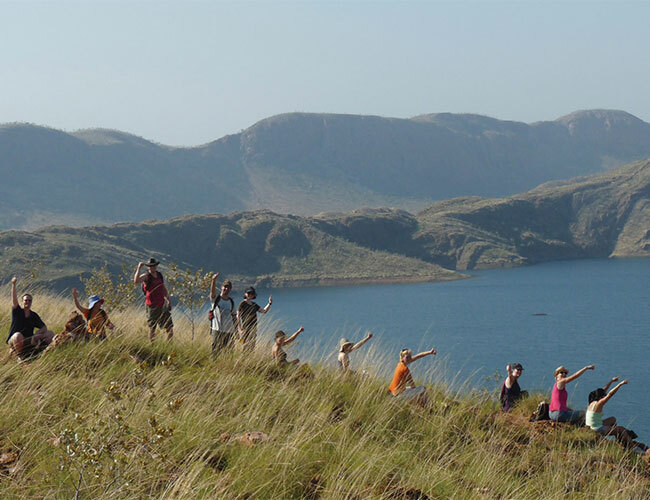 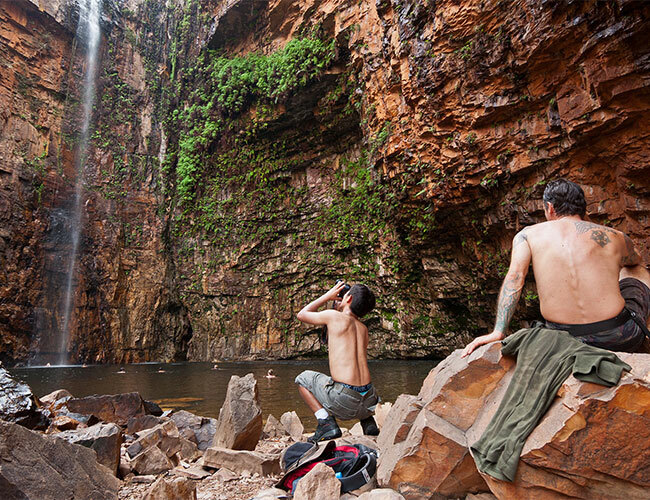 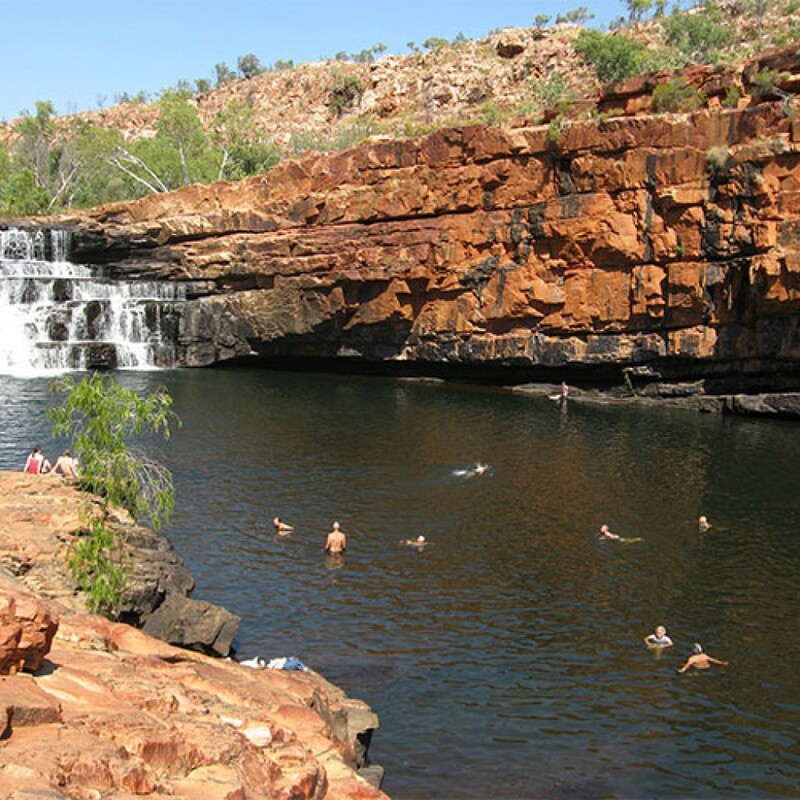 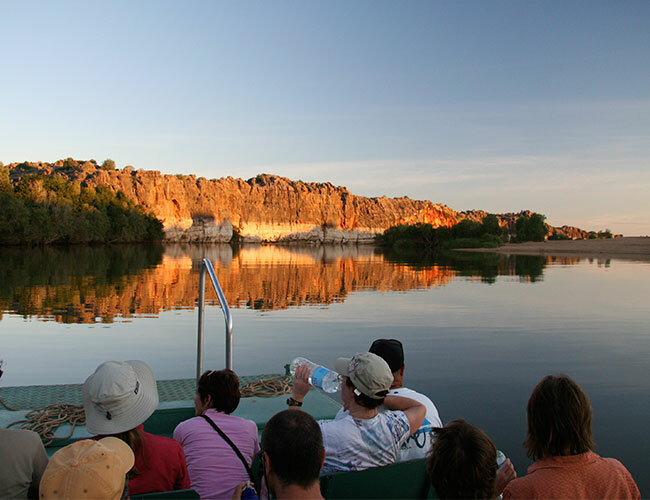 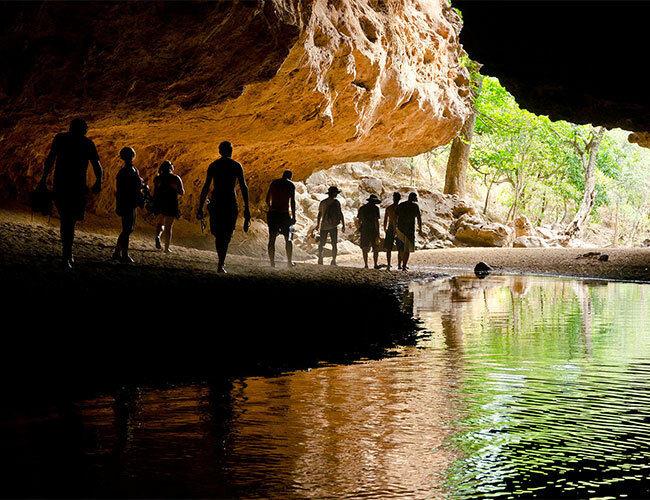 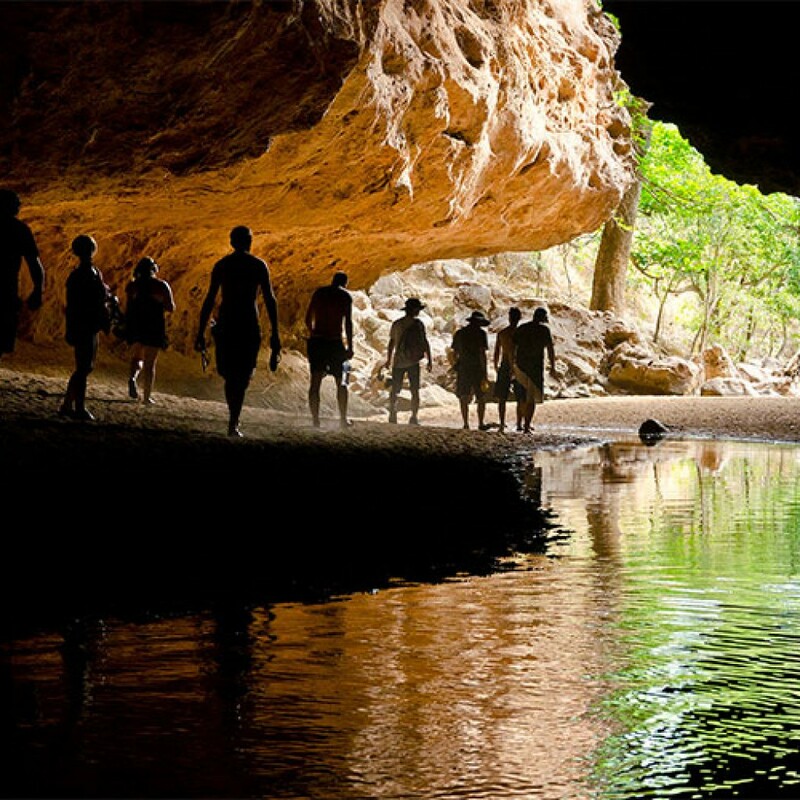 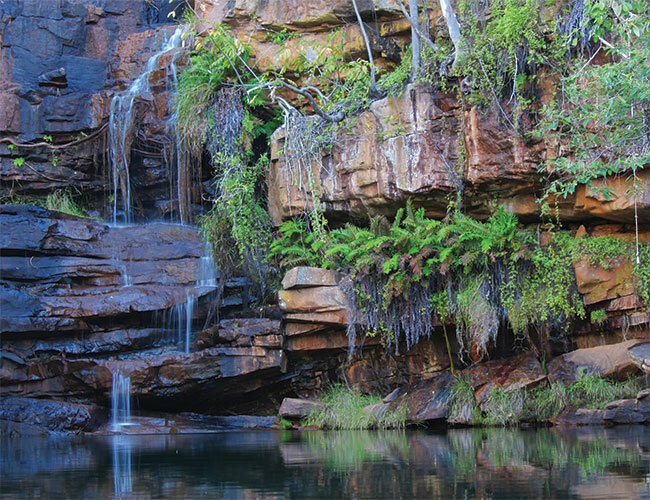 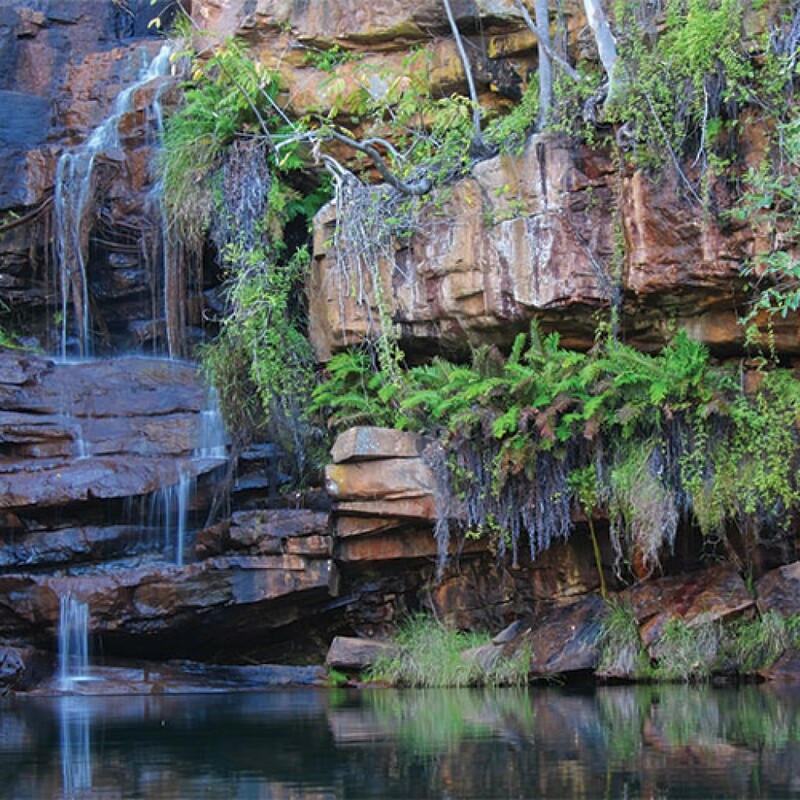 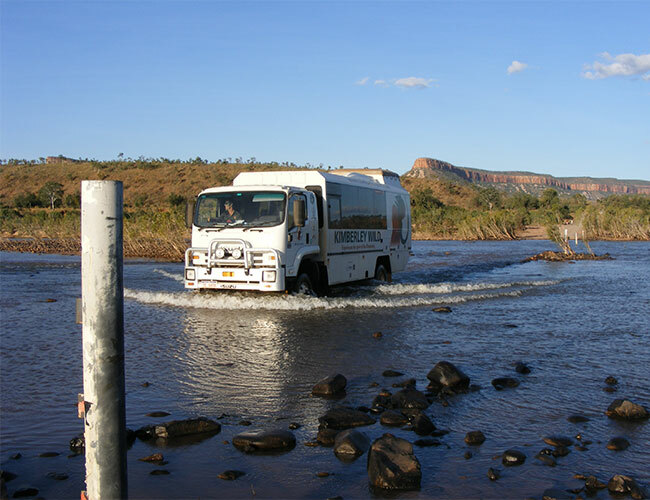 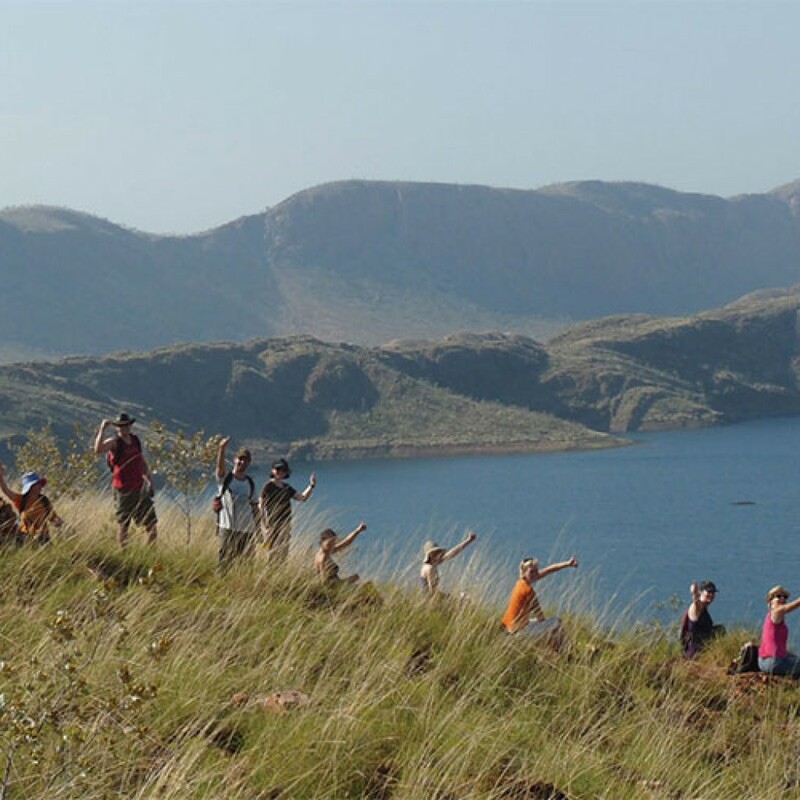 This is our most popular Kimberley Expedition as no Kimberley experience is complete without discovering both gorge country and the Kimberley coast. 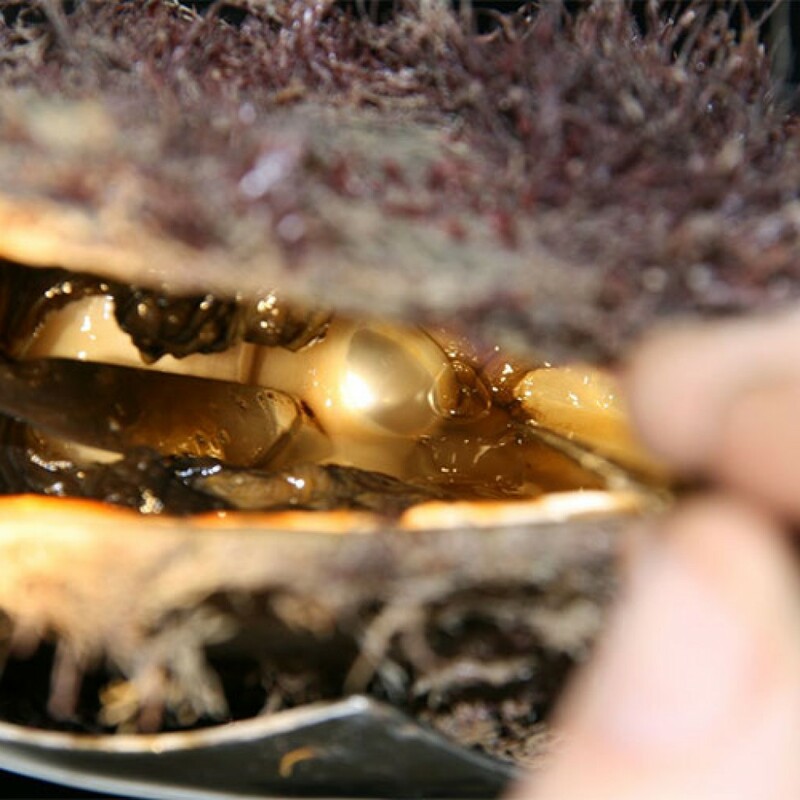 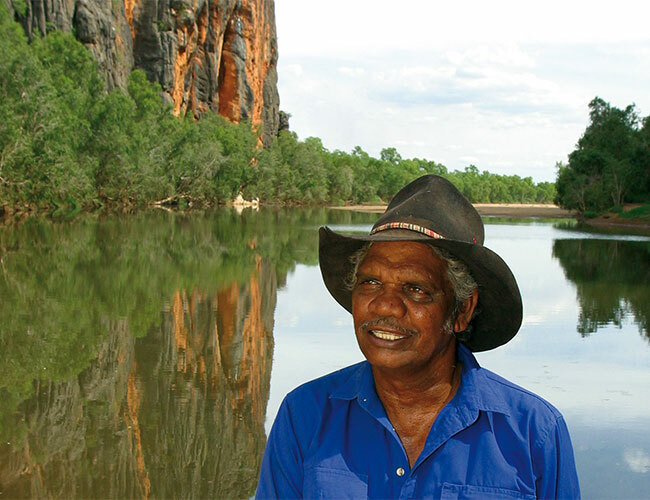 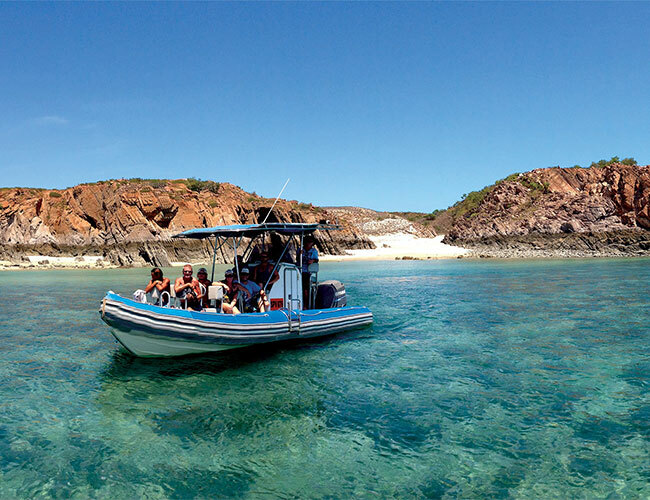 Immerse yourself in one of Australia’s more remote, pristine wildernesses – from the savannah to the sea this trip explore the highlights of the Kimberley in depth. 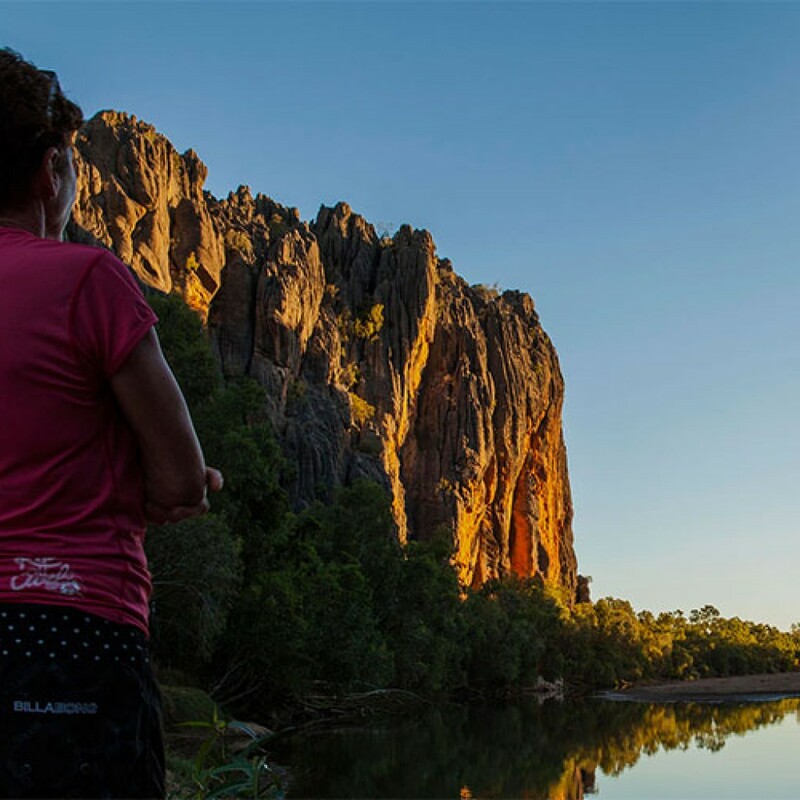 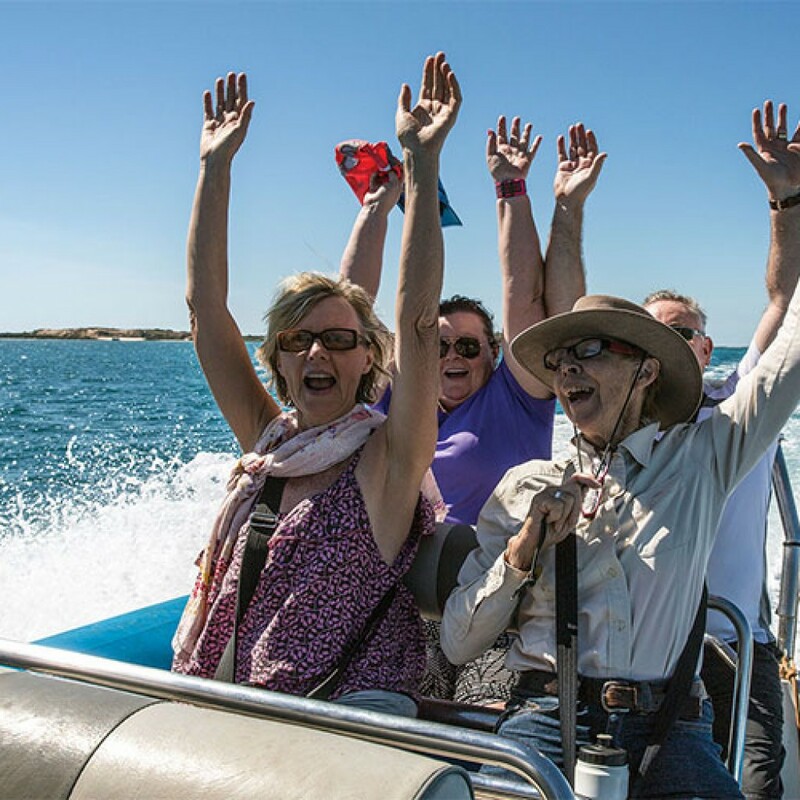 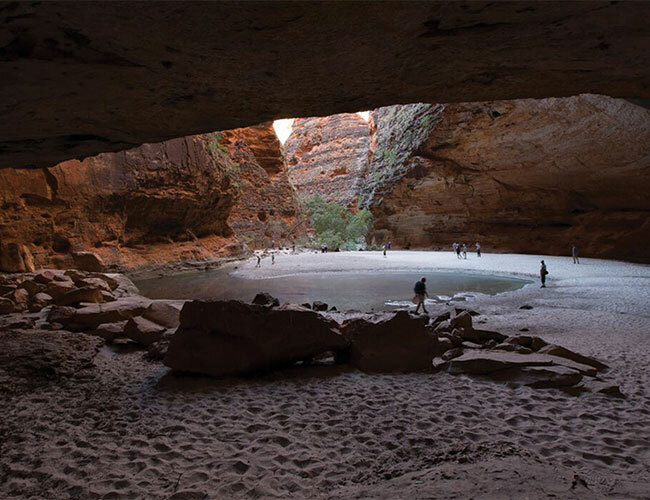 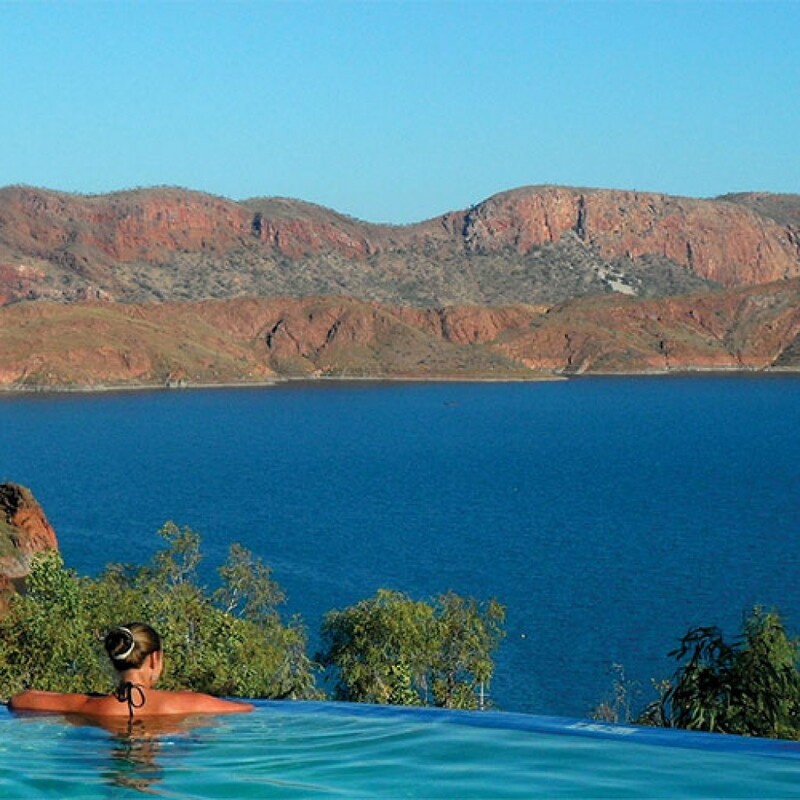 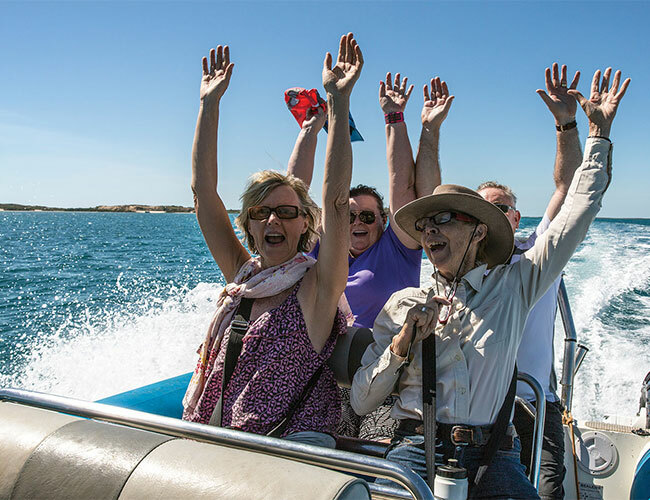 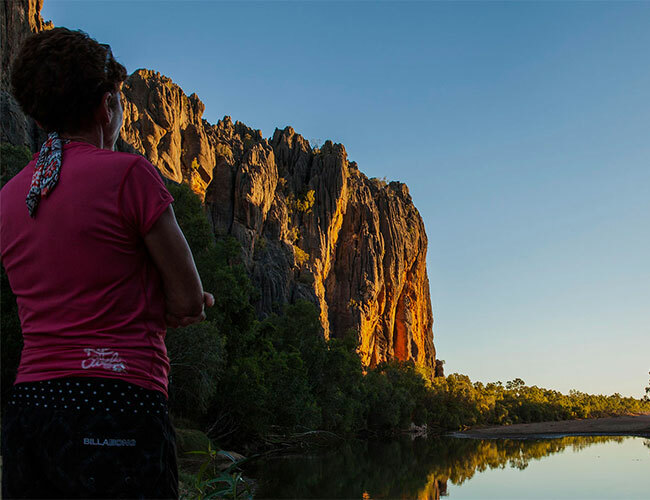 Experience the land of the saltwater people on the Dampier Peninsula, get a taste of the Kimberley Coast in the Buccaneer Archipelago, take an iconic journey up the famous Gibb River Road and explore El Questro Wilderness Park, Lake Argyle and the World Heritage-listed Bungle Bungles. 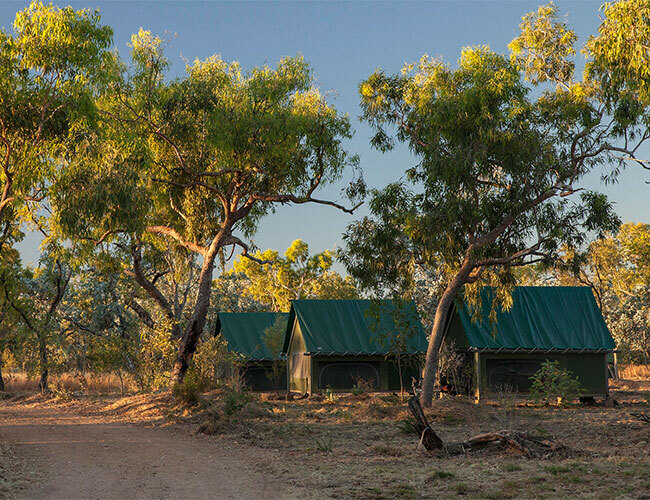 Nights 2 & 12 The twin/double rooms (with shared amenities) at our Kimberley Traveller's Lodge are basic but comfortable. 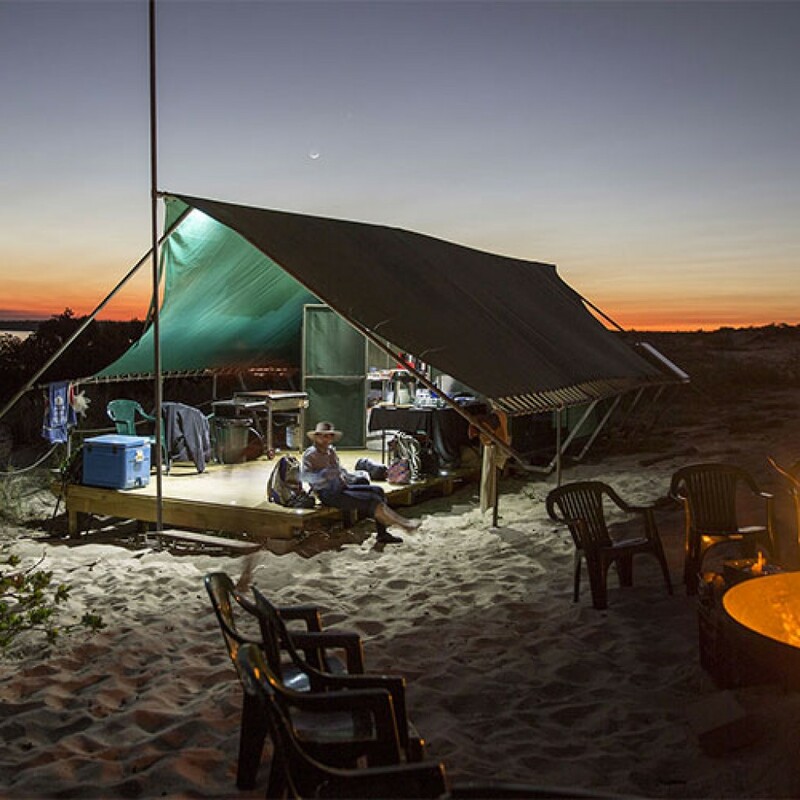 This adventure hostel is our home in Broome, from where travellers on both our Kimberley Expeditions and Adventure Tours, young and old, embark on their Kimberley experiences. 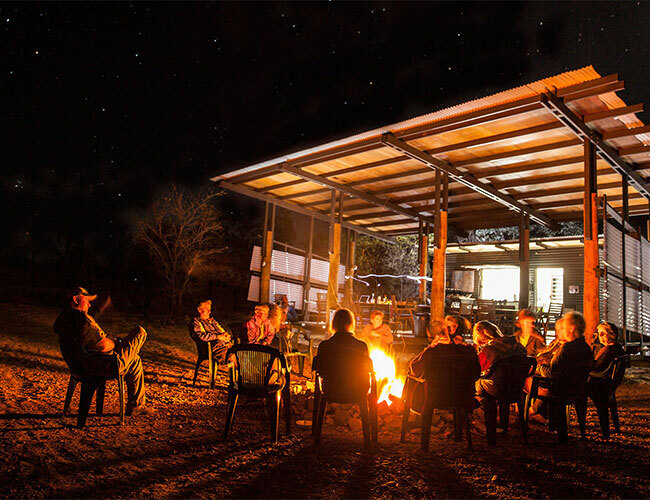 Close to town, it has a pool and beer garden providing a great place to meet and get to know your fellow travellers and share a celebratory drink at the end of your adventure. 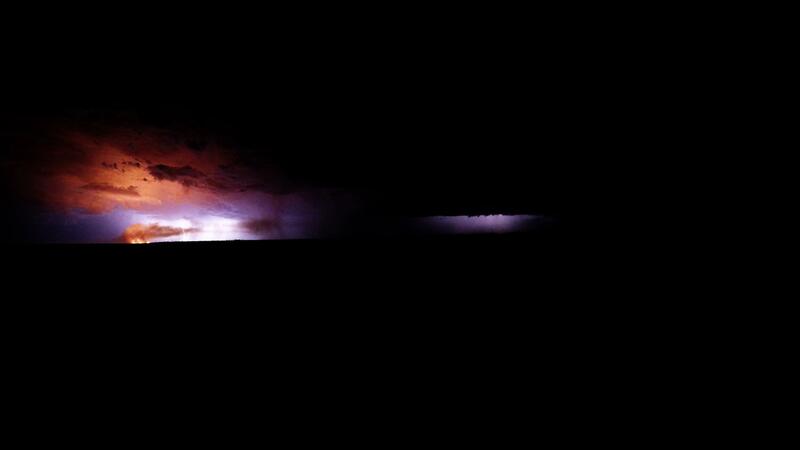 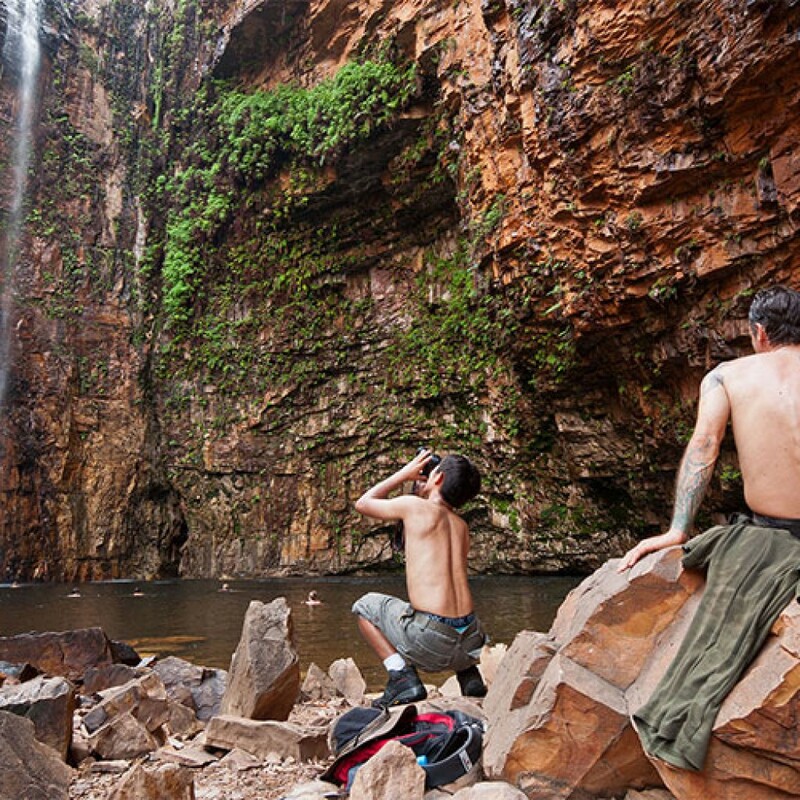 If you are a single traveller you will share a room with a fellow traveller of the same gender. 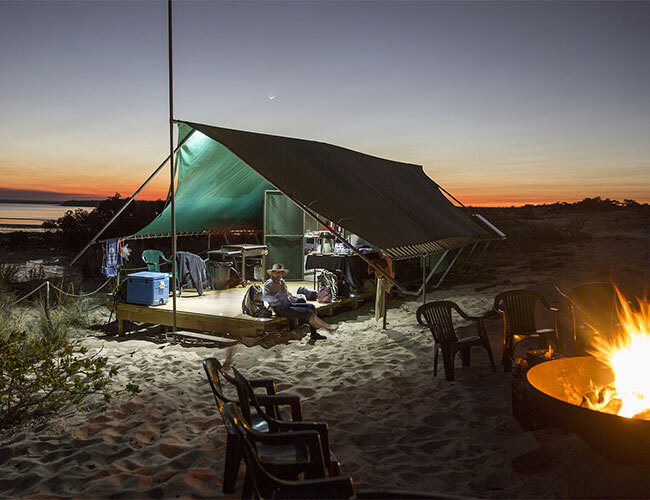 Night 1 Enjoy a night in our own Cygnet Bay Safari Camp, exclusive to Kimberley Wild. 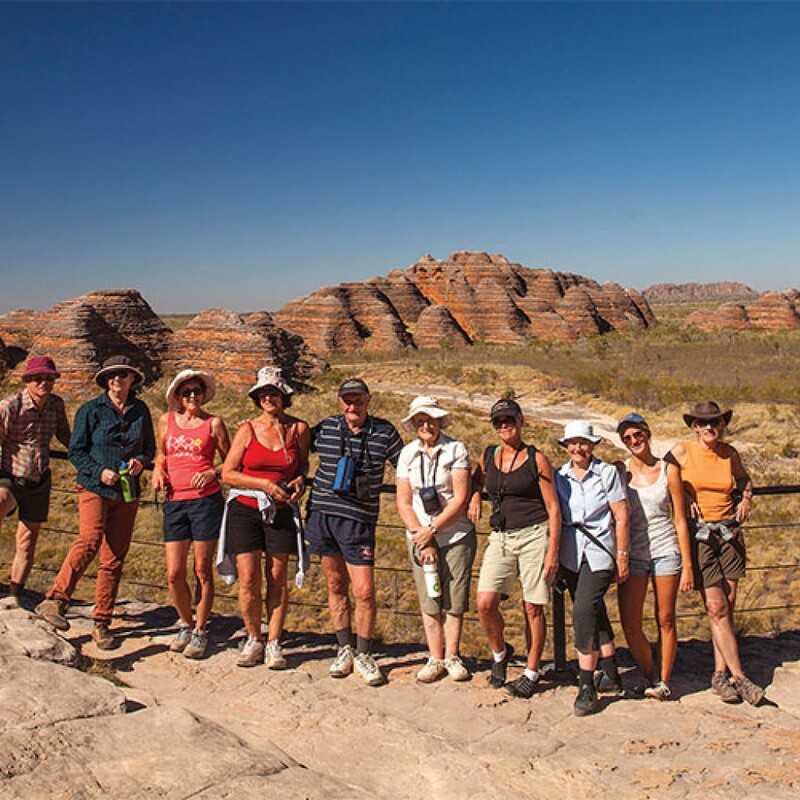 Nights 2 & 12 The twin/double rooms (with shared amenities) at our Kimberley Traveller's Lodge are basic but comfortable. 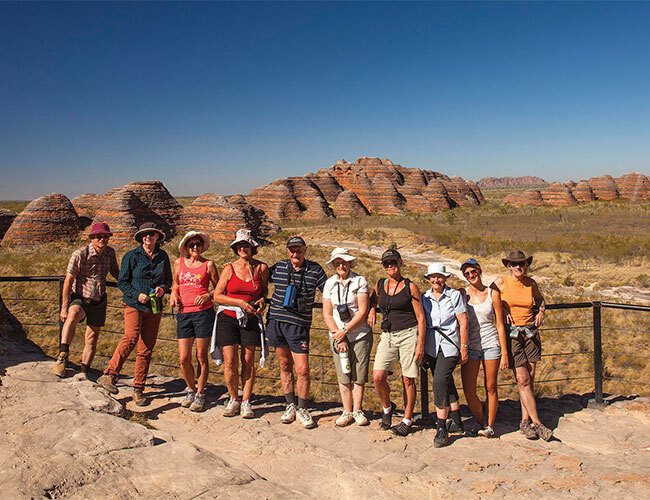 This adventure hostel is our home in Broome, from where travellers on both our Kimberley Expeditions and Adventure Tours, young and old, embark on their Kimberley experiences. 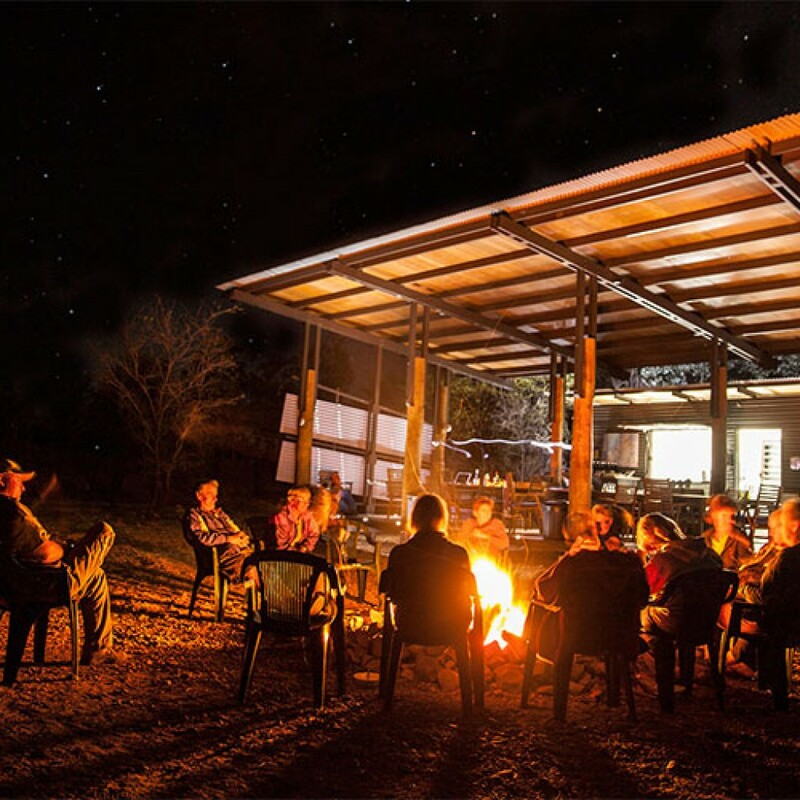 Close to town, it has a pool and beer garden providing a great place to meet and get to know your fellow travellers and share a celebratory drink at the end of your adventure. 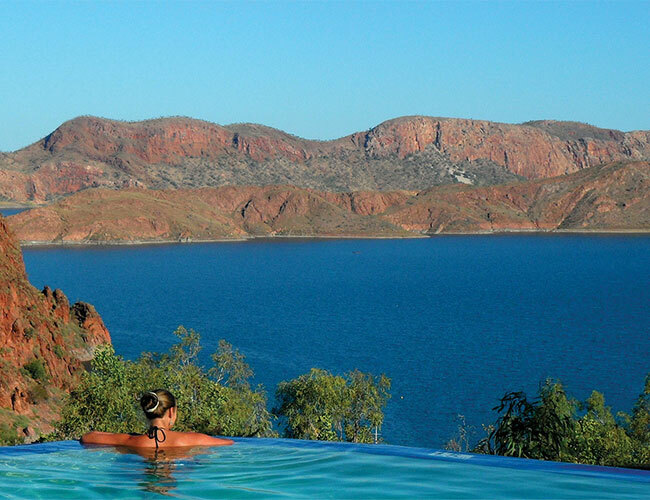 Night 8 The Standard Rooms at Lake Argyle Resort each have a queen & single bed, private ensuite bathroom, a small fridge, tea/coffee making facilities. 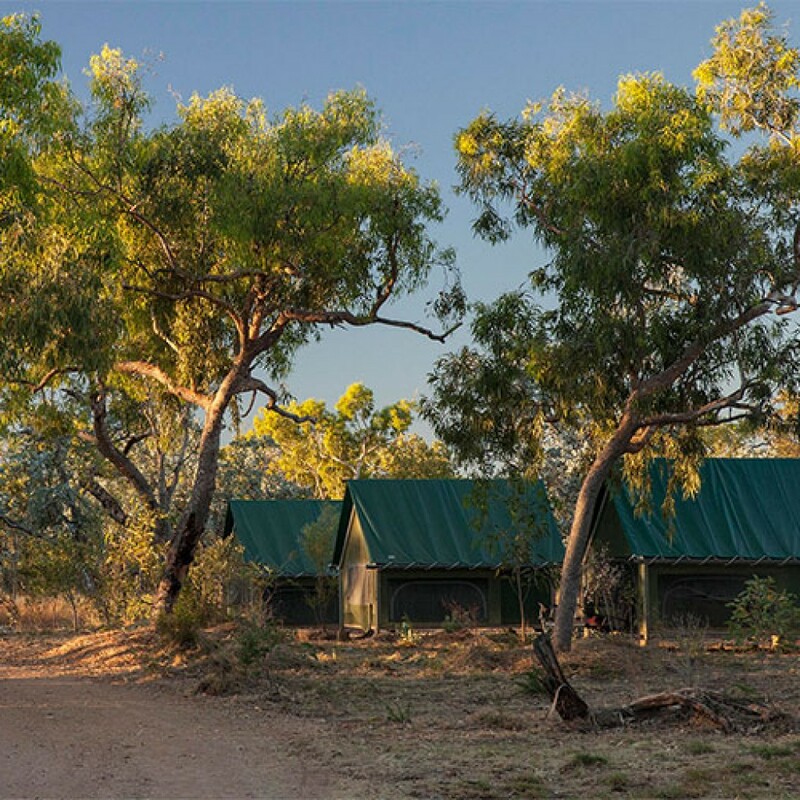 airconditioning and a private verandah to enjoy the beautiful surrounds. 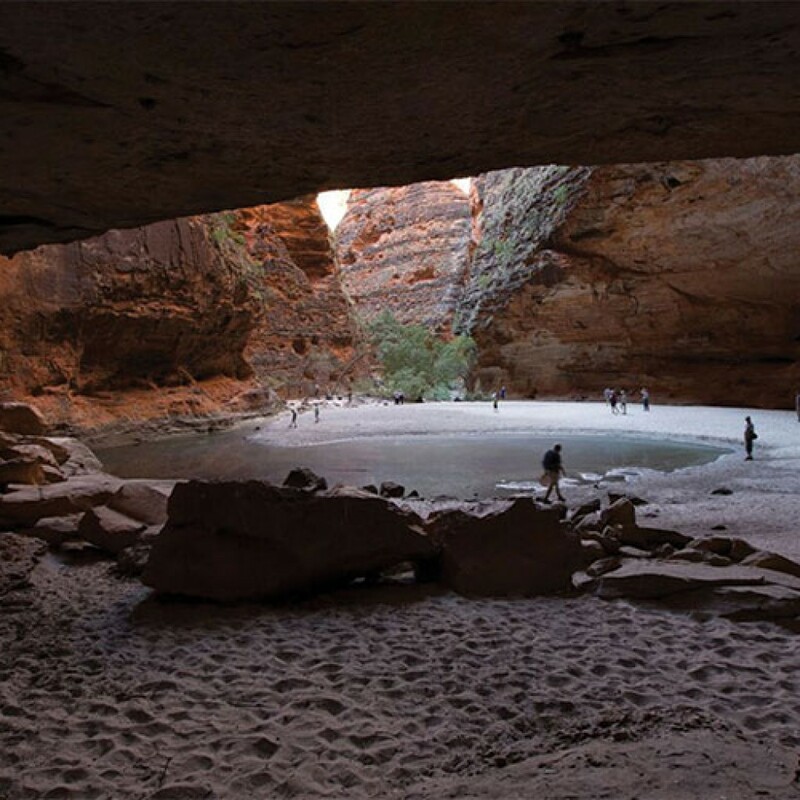 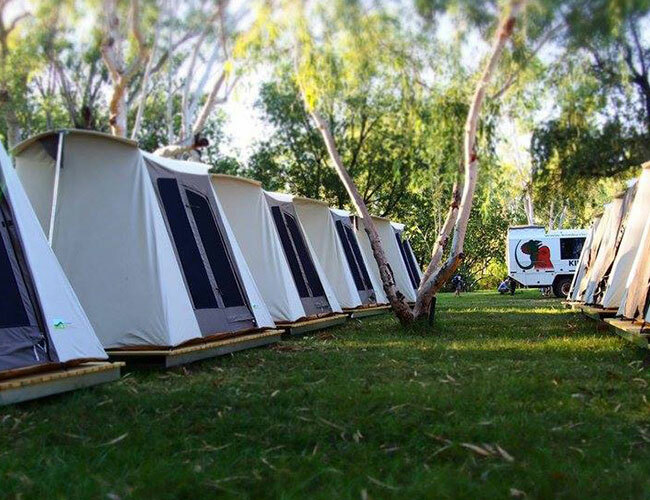 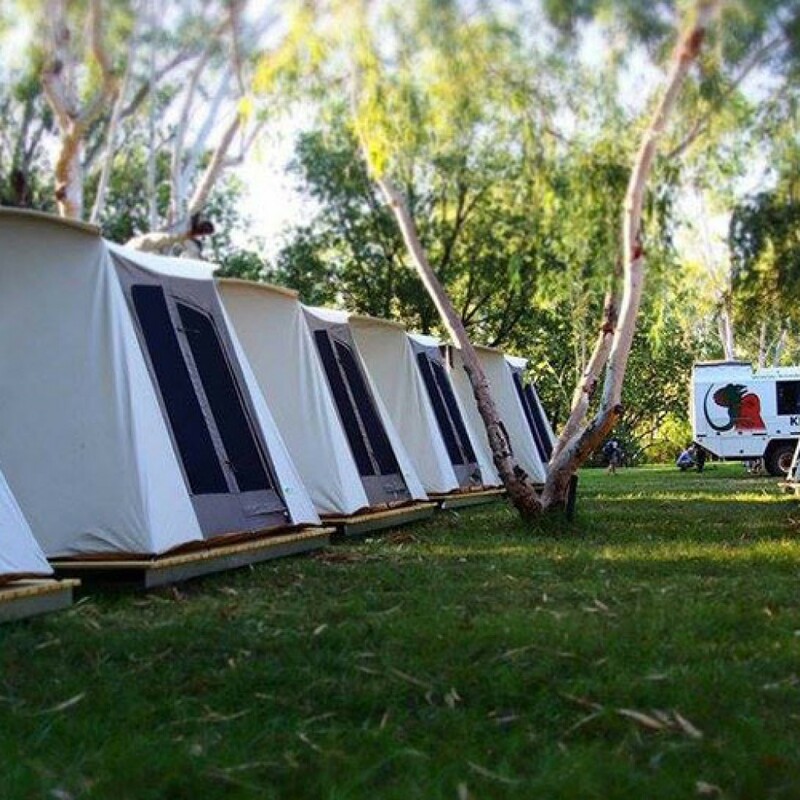 You will also need to bring a sleeping bag, even if you have chosen the Camping Plus option (13DKE1) as these are necessary for the Camping nights and also the Bungle Bungles Safari Camp stay. 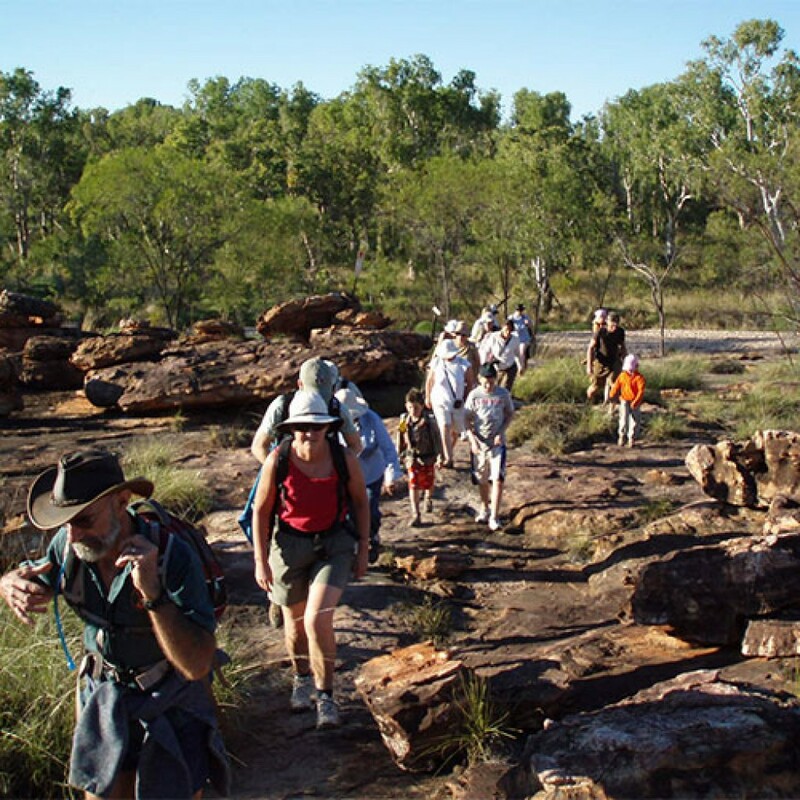 10ºC sleeping bags are available for sale at $35pp – these must be requested with our office prior to travel and can be kept following your trip or donated to local indigenous communities. 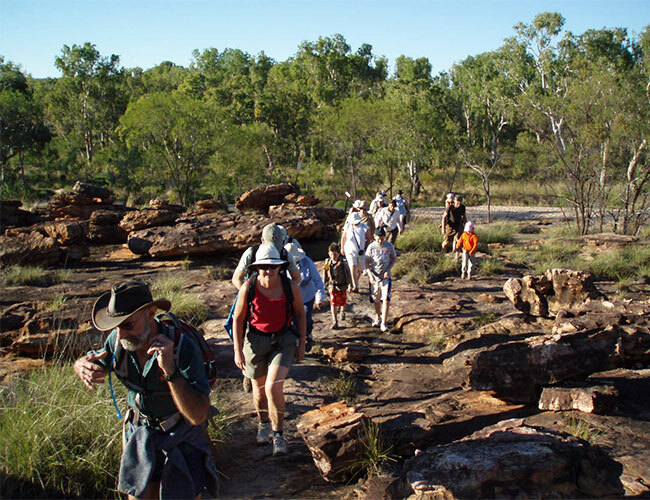 Due to the nature of the Cape Leveque Road, this tour may not be suitable for pregnant women or travellers with back problems. 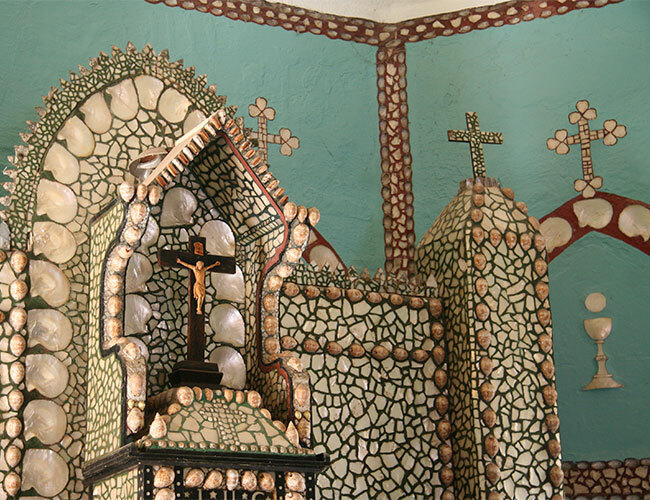 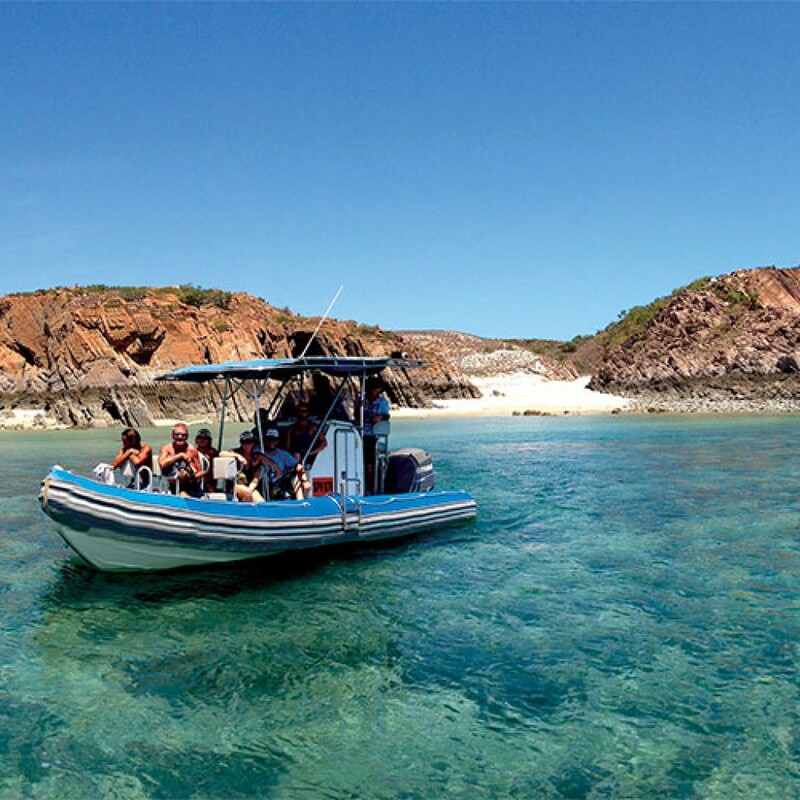 The Islands of the Giant Tides cruise is tidal dependent. 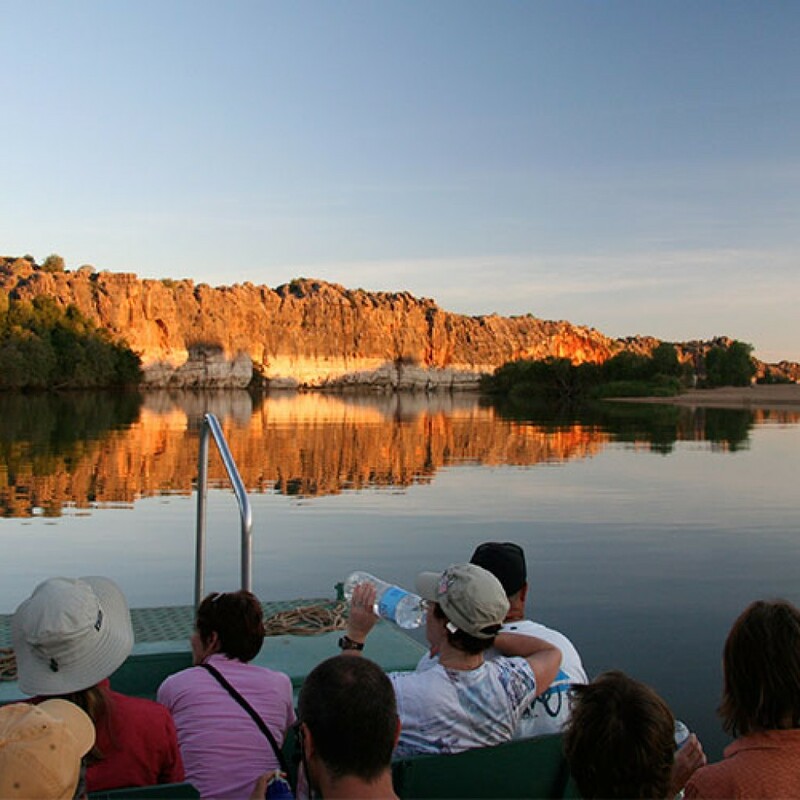 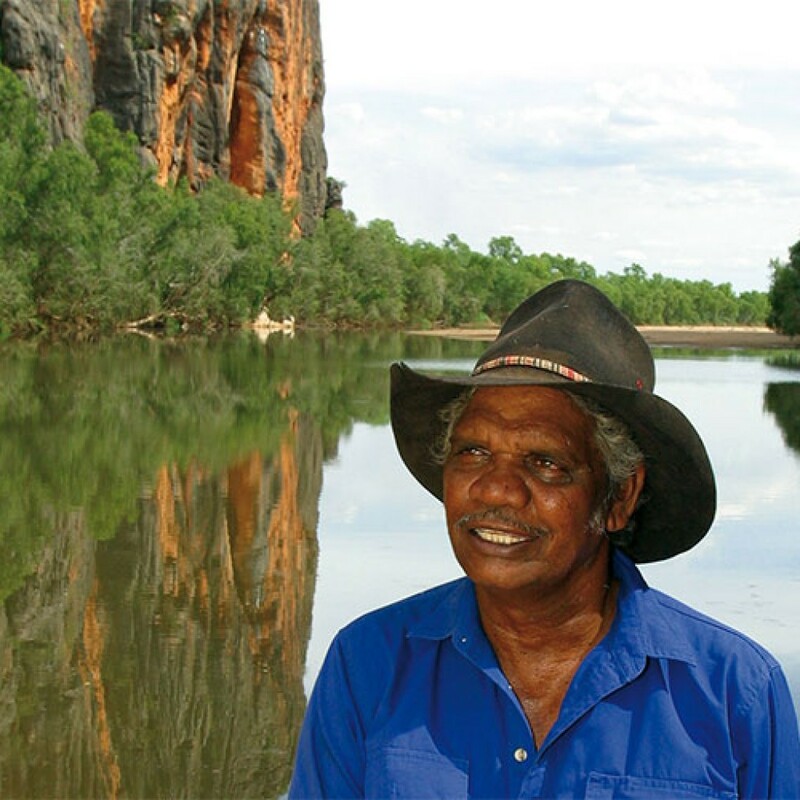 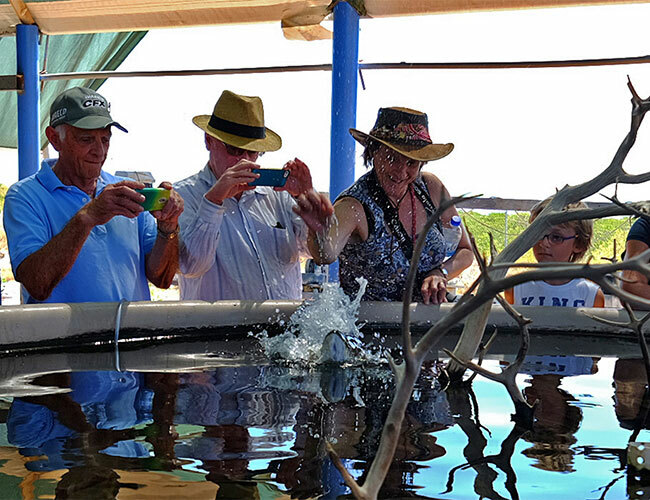 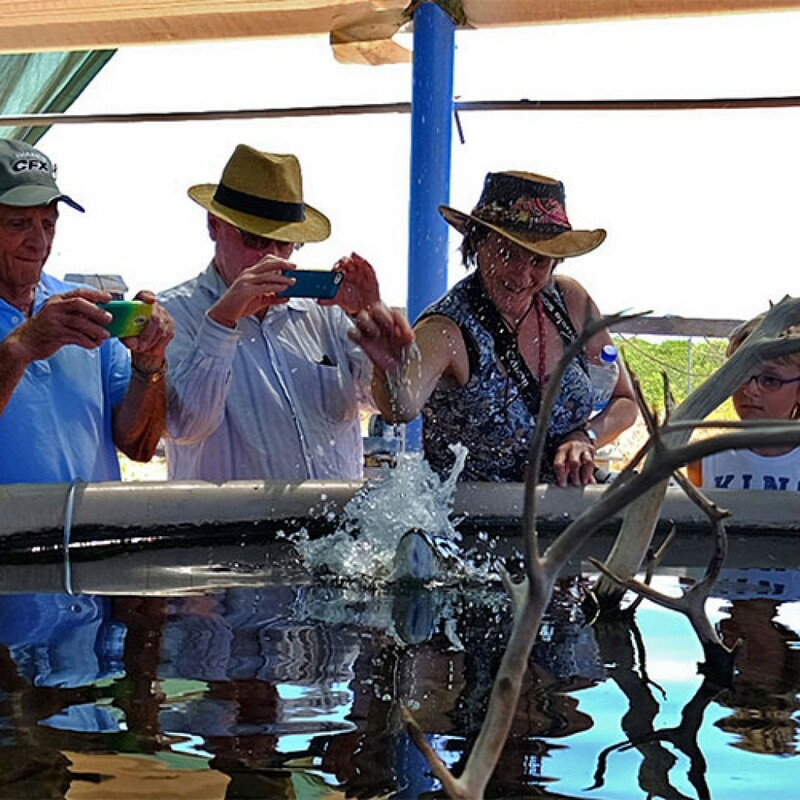 On neap tides, we will enjoy the alternative Kimberley Island Explorer Cruise. 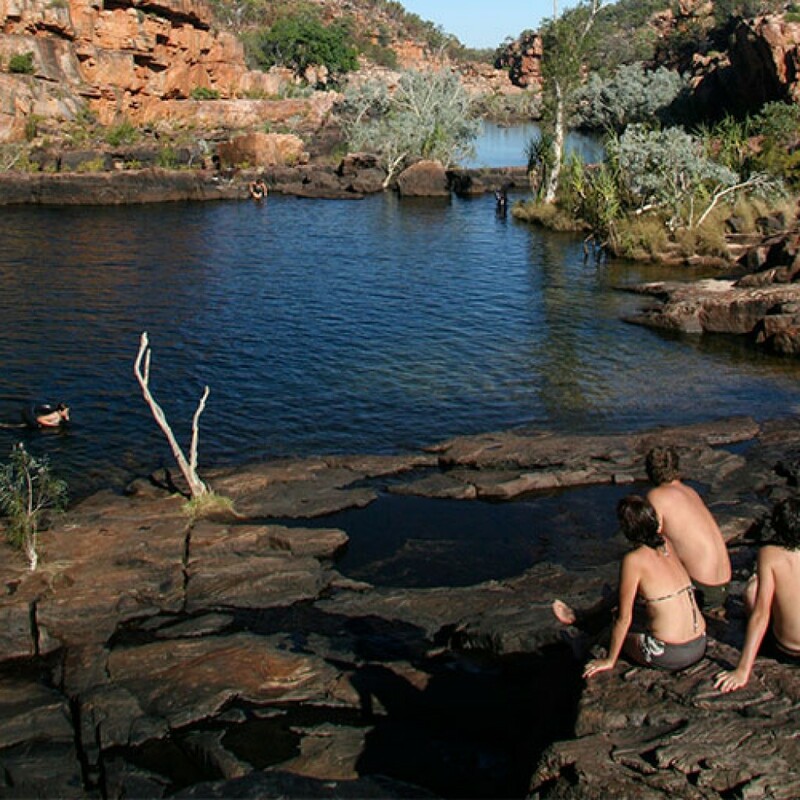 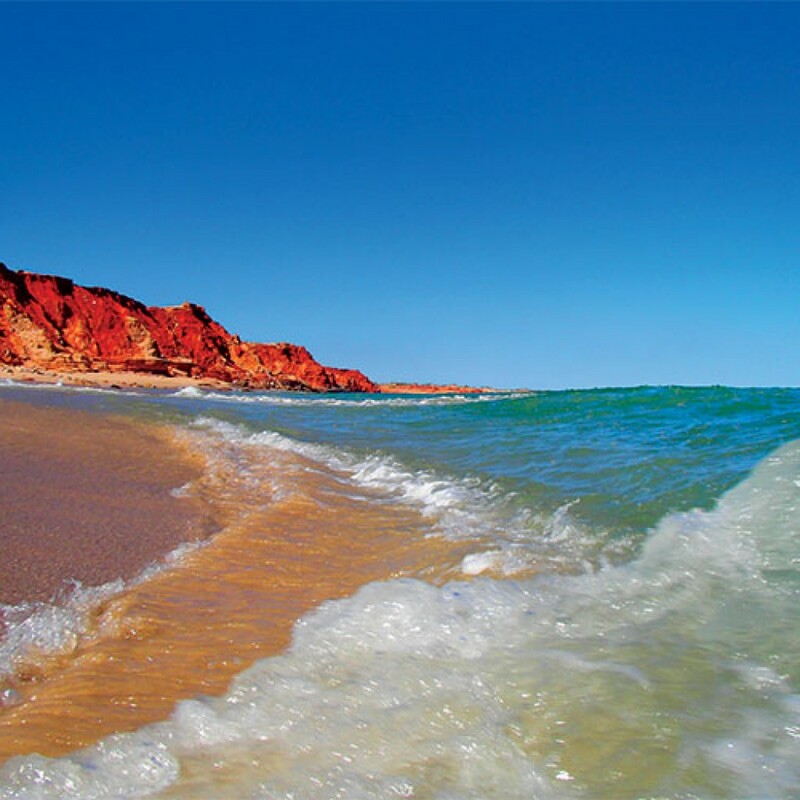 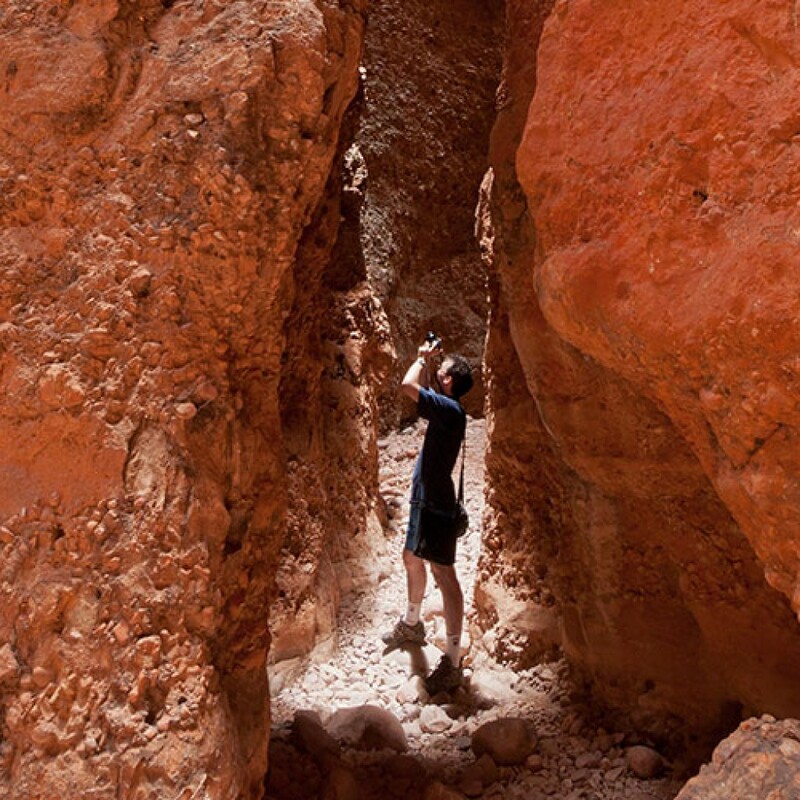 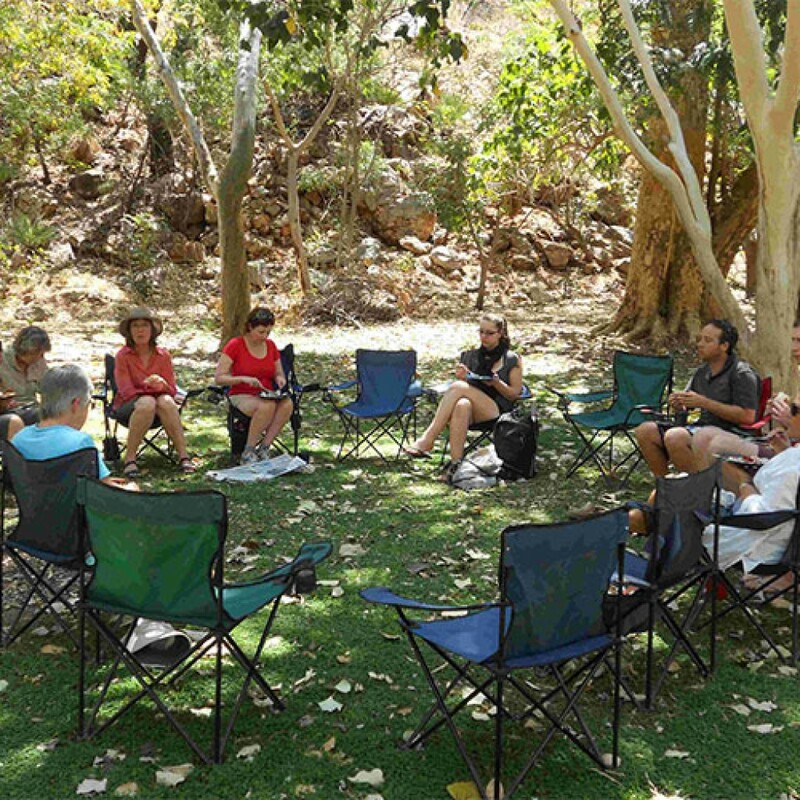 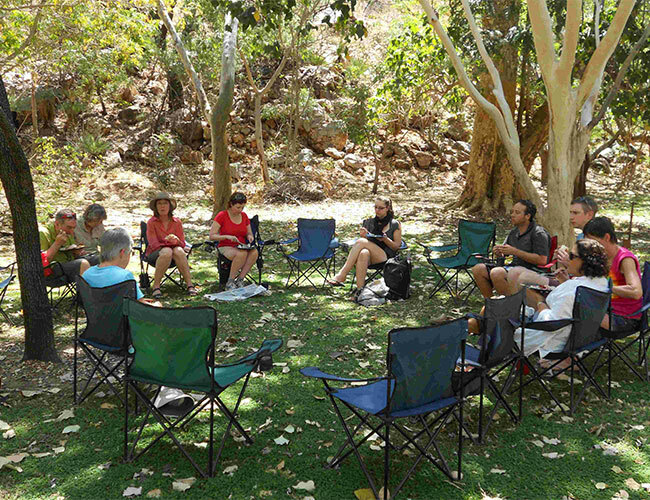 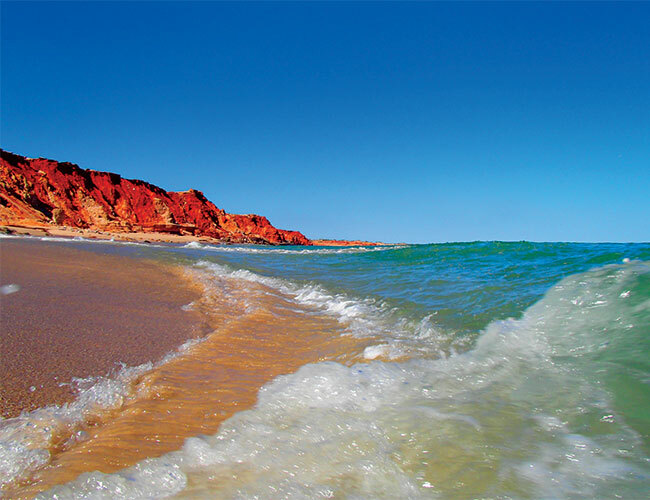 This tour is a Combination of two separate tours: 2 Day Cape Leveque Experience and the 12 Day Wild Kimberley Loop. 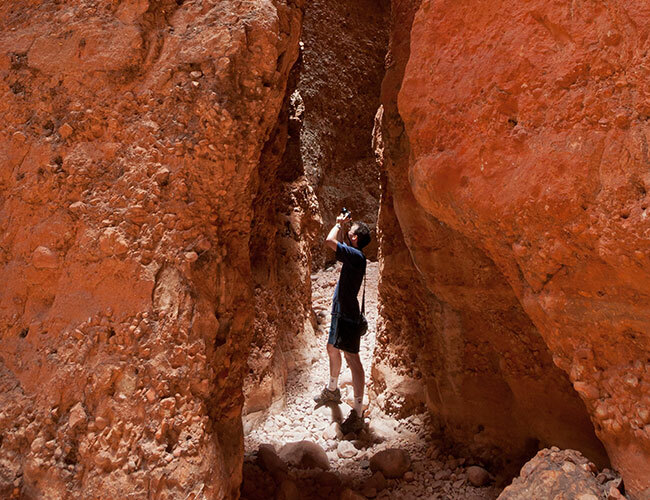 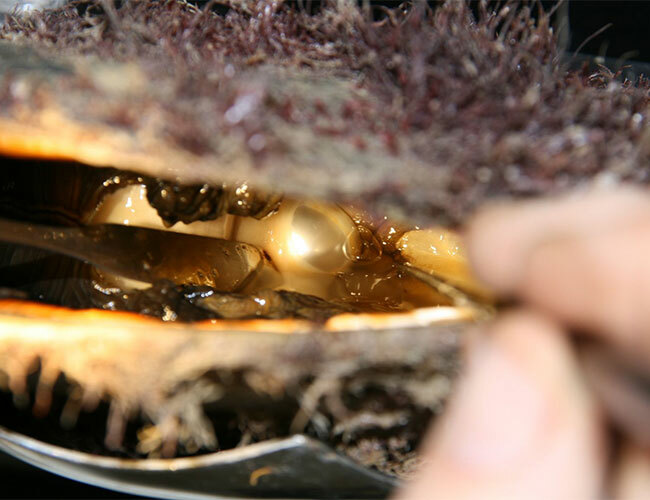 It may therefore have different guides for each stretch.